Everywhere you look you see automakers propping up their latest ’skateboard’ platforms jampacked with batteries, each with more power than the last and each offering a lower center of gravity and extended mileage. But there are still people who stick with the age-old combustion engine and try to make it better. Camcon Automotive is trying to do just that by implementing the first fully-digital valve system out there. It’s common knowledge that an engine needs camshafts to operate. The camshaft is a rod that spins and, with its cams, opens the intake and the exhaust valves which then spring shut before they’re reopened again by the camshaft’s action. This motion is timed with the motion of the pistons, and it directly affects the engine’s performance and efficiency. That’s why people have been trying to find ways to improve this area of the engine for decades. A case in point is the invention of engines fitted with desmodromic valves that are no longer closed shut by a spring, but by using two cams and two actuators which open and close the valves. Delage used this setup on its 1912-1914 Grand Prix cars. The solution we’re talking about now takes care of the camshaft in the sense that it eliminates the need of one, or multiple, big camshafts. 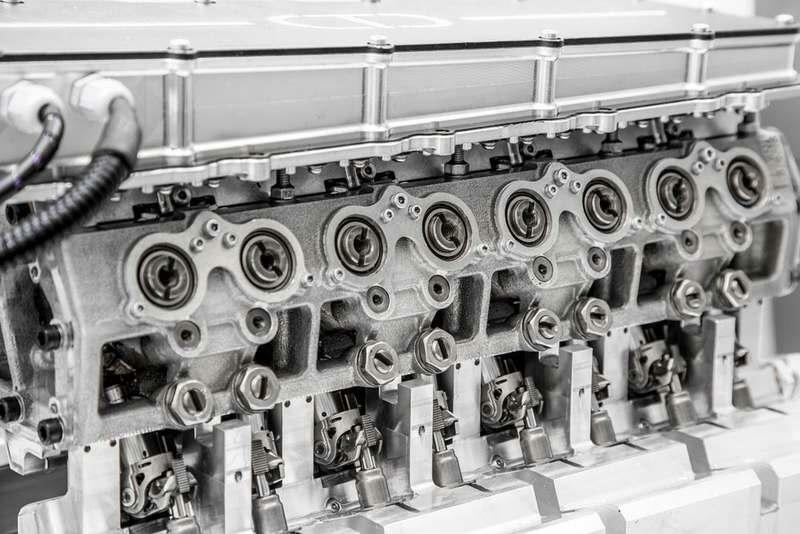 A British company called Camcom Automotive is developing something it calls ’Intelligent Valve Technology’ where the valves aren’t connected to a crankshaft which allows each one of them to move freely and, in turn, be fitted with their own small camshaft. All of these micro-camshafts work together and are powered by electric motors. There are no timing belts or valve springs either, so every valve is out there for itself. This engineering solution translates to the possibility of better controlling the way that the valves open and close or how much they stay open. That means that the valve timing can be changed in real time depending on the needs of the driver. For instance, when you hit the loud pedal, the system adjusts the valve timing so that you’re getting extra power through a more aggressive mixing of oxygen and fuel. In turn, if you’re cruising in a relaxed fashion down the highway, the valve timing changes so that you get the best mileage possible. While all these adjustments are made mechanically, the changes are dictated by sensors in the engine. According to New Atlas, the electric motors that power each of the small camshafts attached to each of the valves "can rotate either way with total precision, and for a given valve event they can rotate through fully to give 100% of the available valve lift, or they can stop part-way through and return back to closed, so you can get literally any degree of valve lift you want, at any time." In the same article, Camcom’s COO, Mark Gostick talks about why this idea hasn’t been exploited before. "The difference is in the electronics that control it. What’s happened in the recent past is that there’s now sufficient processing bandwidth at a low price that can tolerate top of engine conditions, so you can actually put real-time control on top of these motors," he said. The company claims that they’ve already clocked thousands of hours of dyno testing on their innovative unit and that, compared to a Jaguar Ingenium engine used as the benchmark, they’ve achieved a 7.5% improvement in terms of CO2 emissions and now they’re looking to increase those gains by building a 16-valve engine. However, they only tested the engine in a steady state where "the thing is running at a fixed point or a series of fixed points." The guys behind the company also say that their intelligent, one-by-one, valve control could also lend itself to transforming the way the engine works completely, as in making it operate as a two-stroke unit instead of a four-stroke for a short period of time to give extra bursts of power as the output is doubled. However, Gostick admitted that this is an idea that hasn’t been put into practice yet, but it will be done once the team places actuators on the exhaust valves. This could be particularly helpful in the case of small-displacement engines that struggle when it comes to getting off the line quick enough or during overtakes. The opposite thing can also be done, this time for the sake of maximum fuel economy. Gostick talks about turning the engine from a four-stroke to a 12-stroke, "meaning that every cylinder only fires every third stroke. But it does it over the whole engine, like a roaming cylinder deactivation," he details. Obviously, the full benefits of this system can only reveal themselves once the engine is integrated into a platform that’s made to host it, potentially with a hybrid system attached to it. The efficiency of the ICE and electric motor combination can be greatly improved with an engine with digital valves because, as Gostick says, "you can substantially reduce the amount of energy it takes to restart the engine. Because you can open the valves right up, so the starter motor just has to overcome friction, as opposed to compressing the gases in the chambers as well." 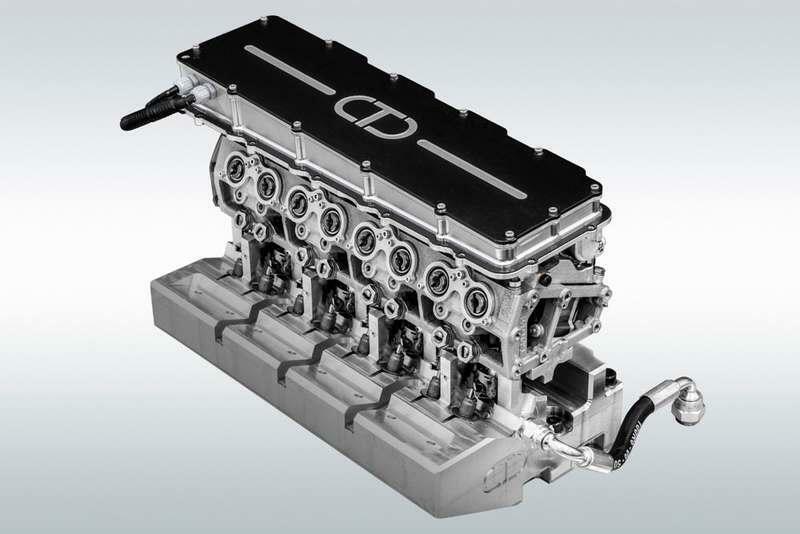 Camcom’s idea of a novel internal combustion engine isn’t the first of its kind. 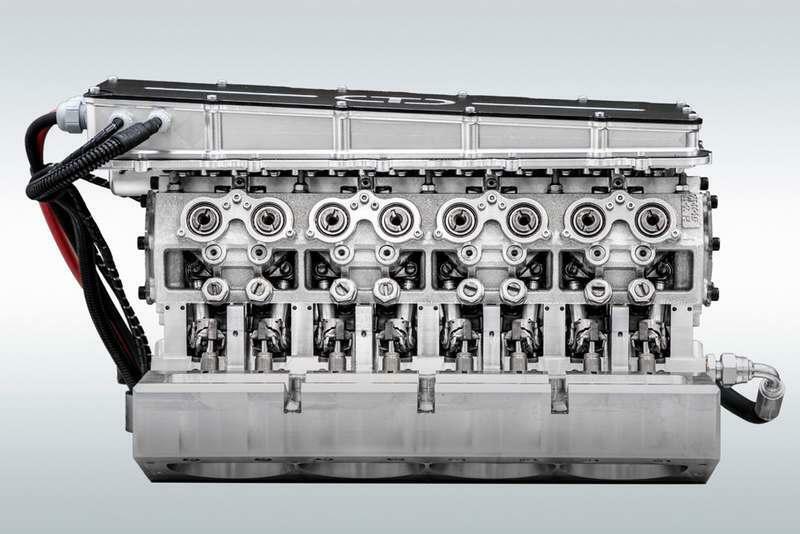 FreeValve, a subsidiary of Koenigsegg, has been working for a few years already on an engine that completely lacks a camshaft. 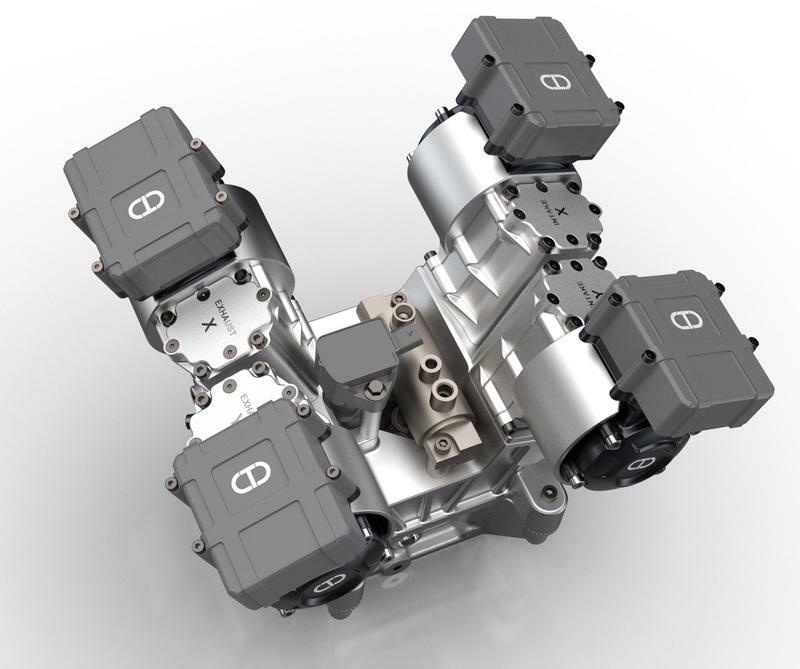 The engine uses actuators that activate the valves and works in a similar way to the digital valve system: each valve can be controlled individually with its own timing. There’s also no need for a throttle body. 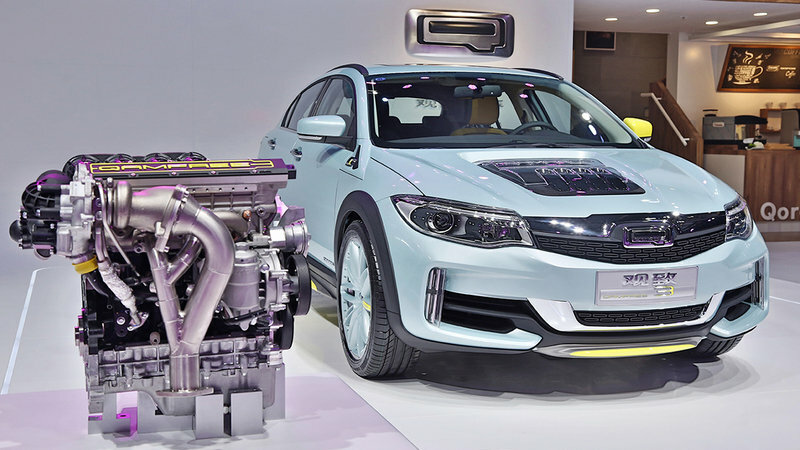 Chinese car company Qoros employed this type of engine on one of its prototypes back in 2016 and subsequently unveiled it at the 2016 Beijing Auto Show.